Hardee’s Outdoor Adventure Instant Win Game And Sweepstakes is back! Eat at Hardee’s restaurants now through October 11, 2015 and you could win BIG! Receive a Peel-Off Label each time you purchase a specially printed 20 oz. coffee and/or 40 oz. beverage cup with any eligible combo meal then, peel off the instant-win prize portion to win Bass Pro Shops prizes or Hardee’s Food Product Prizes. 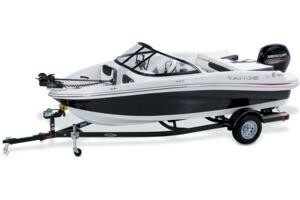 Reveal the sweepstakes code from the Grand Prize portion of the peel-off label and enter it at HardeesBPS.com for a chance to win a 2016 Tahoe 450 TF boat with outboard motor and trailer! The grand prize winner, randomly selected on November 2, 2015, will receive a 2016 Tahoe 450 TF boat with outboard motor and trailer along with $3,000.00 cash. A grand prize worth $28,000.00! Plus, a total of 2,500 Bass Pro Shops Prizes will also be available to be won, including of Pursuit 10 x 42 Binoculars, XPS Stalker Backpacks. and RedHead Deluxe Camo Gear Bags. But wait, there’s more! Hardee’s will be giving away more than 2,000,000 Food Product Prizes including, free small Hash Rounds, free small Fries, free small Coca-Cola beverages and free small Colombian blend coffee beverages. All food product prizes will be awarded as discount coupon redeemable at any participating Hardee’s restaurant. Does it get any better? Yes it does! Each non-winning Peel-Off Labels will contain a coupon redeemable for free small Coca-Cola beverages, small Fries and more! Now through October 11, 2015, buy any combo meal with a large drink or coffee to get a Peel-Off Label on specially printed cups or request one by mail by sending a self-addressed stamped envelope to Hardee’s 2015 Outdoor Adventure Instant Win Game & Sweepstakes, P.O. Box 809004, Houston TX 77280-9921. No more than one Peel-Off Label per transaction/per day and limited to one request per outer mailing envelope. Peel off the instant-win prize portion of your label to see if you won and reveal your code. Enter your 8-digit Outdoor Adventure Sweepstakes Entry Code from the Grand Prize portion of the label or your 9-digit Bass Pro Shops prize redemption code at HardeesBPS.com by clicking the “Enter” button and submitting your code as instructed. Both the 8-digit sweepstakes code and 9-digit Bass Pro Shops prize redemption code must be receive by 6:00 pm EDT, October 22, 2015. The Hardee’s Outdoor Adventure Instant Win Game And Sweepstakes is open to legal residents of the 48 contiguous United States and Washington D.C. Void in Alaska, Hawaii, Rhode Island, Puerto Rico, all other U.S. territories, and where restricted or prohibited by law. Must be (18) eighteen years of age or older in your state of residence by August 31, 2015 to win food/beverage prizes or food/beverage discount coupons or Bass Pro Shops prizes. Must have reached the age of twenty-one (21) in your state of residence by August 31, 2015 to win the grand prize.